We often take time for granted. We do not understand the importance of time and the impact it has on our lives. Most of us struggle on a day-to-day basis to manage our time. Why is this? This is because we are not aware of the fact that it is entirely possible to manage our time. We have been lead to believe that time cannot be managed or controlled by man. 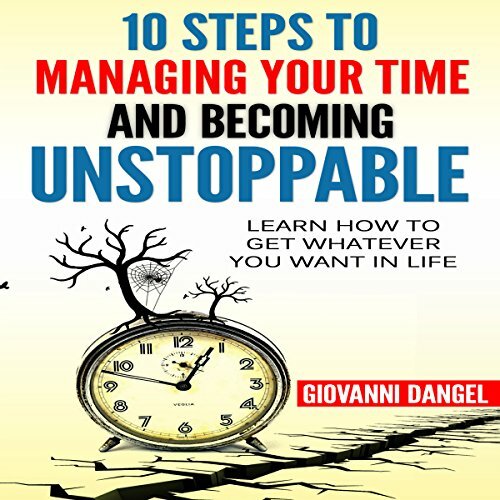 Allow me to correct you by saying that it is absolutely possible to manage your time. Punctual people are associated with tremendous integrity. They have a solid value system, strong work ethic, never compromise and are hard working. So are they all this because they are punctual, or is it the other way around? The answer is incidental; what's critical is that these people are greatly liked, admired and are considered invaluable assets by their employers and for good reason. Punctual people exude a kind of positivity that makes them welcome everywhere; their peers look up to them and their seniors respect them. No task is difficult for them, no job unacceptable. Where there's a wall, they create a window; where there's a roadblock, they discover a detour. How to prioritize and get much more done! This book was written just for me! Daniel's book hit home for me. I just made this book mandatory reading for everyone in my organization. The narration by John Alan Martinson Jr is superb as is all of his Works. He has a unique way of bringing every story to life! Excellent content. A rather clinical performance. A breeze to get through and I plan to listen repeatedly until I master the concepts. The structure was a little stiff but I think that was highlighted by the dry, clinical read.